Due to the wide usage of digital devices and easy access to the edge items in manufacturing industry, massive industrial data is generated and collected. A data-driven smart production line (SPL), which is a basic cell in a smart factory, is derived primarily. This paper studies the data-driven SPL and its common factors. Firstly, common factors such as integration, data-driven, service collaboration, and proactive service of SPL are investigated. Then, a data-driven method including data self-perception, data understanding, decision-making, and precise control for implementing SPL is proposed. As a reference, the research of the common factors and the data-driven method could offer a systematic standard for both academia and industry. Moreover, in order to validate this method, this paper presents an industrial case by taking an energy consumption forecast and fault diagnosis based on energy consumption data in a prototype of LED epoxy molding compound (EMC) production lines for example. This work is financially supported in part by National Key Research and Development Program of China (No.2016YFB1101700), National Natural Science Foundation of China (NSFC) under Grant 51705014 and National Natural Science Foundation of China (NSFC) under Grant 51875030. 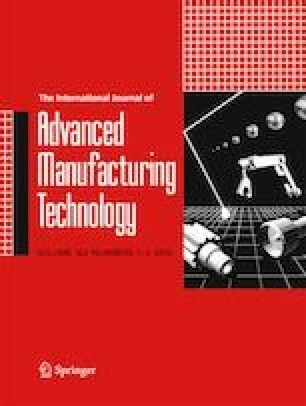 This paper is an expanded version of a paper entitled smart production line: common factors and data-driven implementation method presented at The 12th ASME International Manufacturing Science and Engineering Conference (MSEC2017), June 4-8, 2017, Los Angeles, CA, USA.